Why should a seller consider FBM? Is FBM Amazon a viable option for your Amazon business? Understand it better to choose the best fulfillment option for your business online. Amazon has proven to be one of the most complex and competitive marketplaces in the world. Sellers navigating the marketplace have to find ways to not only compete against millions of other retailers but also to manage their fulfillment processes. Amazon offers two different methods for sellers to fulfill their orders: Fulfillment by Amazon (FBA) and Fulfillment by Merchant (FBM). In this article, we will take a look at Amazon FBM and how it can help you with business. Fulfilled By Merchant, popularly known as FBM, is when sellers list their products on Amazon and choose to ship products to each buyer by themselves. In other words, sellers are responsible for fulfilling their orders and do not rely on Amazon for the same. While it is a rather advantageous method for products with lower margins, FBM Amazon is rather overlooked owing to easy shipping, handling, and other benefits that come with Amazon FBA. How does Amazon FBM work? 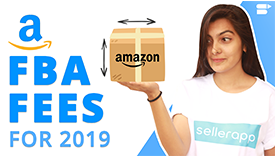 After setting up the seller account on Amazon and creating the listings, sellers have two ways to deliver their products: they can either use Amazon’s fulfillment network to ship your orders on their behalf, that is, Amazon FBA or, they can do it by themselves and go with the FBM Amazon way. The merchants are responsible for shipping the orders to the customer's delivery address, from their warehouse location/slash the place where they have stored the products. The MFN (Merchant Fulfilled Network) seller is also responsible for handling returns and providing customer service. Amazon merchants who are going this way need to keep FBM shipping in mind. They need to find shipping/delivery partners who are reliable and most importantly, cost-effective. If FBM shipping charges are higher than the fees incurred with FBA, then it doesn’t make sense for merchants to fulfill the orders by themselves as it will only impact their margins negatively. FBM is better for exclusive products, small volume products or products with lower profit margins. A smaller amount of products - cuts down the shipping charges considerably for a relatively low volume of product units. Situations where FBM works out to be cheaper than FBA. FBA fees depend primarily on the weight and dimensions of the product. If sellers can ship their orders for a more reasonable price in comparison to using FBA through their delivery partners/network, then it is feasible to opt for FBM. Sellers maintain a sense of control over their business. Managing all the numbers and inventory by themselves gives them an upper hand in running the business for a longer run. With an opportunity to scale, self-fulfillment of products gives better control over the inventory levels. Expanding Amazon business can be simple and easy without having to worry about extra shipping to warehouses and fulfillment centers, and increased FBA fees. Maintaining online and offline retail stores with a single inventory are more than possible. Since sellers store their inventory in warehouses chosen by them, they have complete control of the inventory and can use the same inventory stocks to run an offline retail store too. All of this without having to worry about any extra shipping/delivery charges. Greater Margins. No unexpected costs. With no FBA fees in the picture, sellers get a better cut from the profit margins. They save on fulfillment fees, find the best and a cheaper choice for warehouse, and reduce the shipment charges. This is more true for larger products with low-profit margins. An FBM seller has to interact with his customers directly. They get a better understanding of their customers’ requirements and complaints since they are directly involved with them. Through their interaction with clients, they gain valuable insights, feedback, and ideas for their business. Amazon often changes its fulfillment pricing and policies. It also imposes long term storage fees for products that are in the Amazon repository for a long time. An FBM seller does not have to deal with these hassles. An FBA seller has two unavoidable headaches. One is Amazon’s taxations for fulfillment, and the other is loads of paperwork. An FBM seller is free from both of these issues. Use the Amazon FBA Calculator to check compare between FBA or FBM. Understand the FBA costs for your Amazon product with the Amazon FBA Calculator. The article How to find the best selling Amazon products gives a good insight to the usage of FBM calculator. Increase your Amazon profits with more useful and interesting SellerApp products. The Amazon fulfillment by merchant fees is nothing but the costs that sellers will incur if they decide to ship the orders by themselves. These charges are not straightforward as such and will vary greatly from seller to seller, depending on their shipping/delivery options. However, there are some fixed charges that they will incur, as mentioned below. Amazon deducts a referral fee each time a product unit is sold. The referral fee is a percentage of the total sales price and is usually 15% in most product categories; however, it differs in a few categories, going as low as 6% and high as 45% for Amazon Device Accessories. Check out the table below for your category of product and the referral fee involved. The Amazon FBA fee includes the shipping fee while in the case of FBM, the shipping fees are paid additionally by each customer/seller. Sellers who are looking to sell with FBA will incur the following fees. All of these are over and above the usual FBA fees that merchants will have to pay when using Amazon’s fulfillment network. Amazon has strict labeling specifications for all the stocks shipped to the Amazon warehouse. FBA sellers could also opt for the FBA labeling service where Amazon labels the products. There are specific Amazon packaging rules. FBA sellers could either opt to pay Amazon for packaging or pack the product themselves by paying the Amazon packaging fee. In the case of improperly packaged products, you may be levied FBA unplanned prep fees where Amazon repacks your products according to their specifications. Processing returns are free in most Amazon categories, but not for the categories Amazon offers free returns. Also if the returned products need to be repackaged, FBA sellers are levied Amazon repackaging fee. Amazon also has additional long-term storage fees if stocks remain unsold for longer than six months. Removal of unsold inventory for disposal is also chargeable if you want to pull inventory off Amazon’s warehouse. If you are considering to switch from FBM to FBA, you must be aware of these fees else which will creep into your bills at some point in your selling cycle. Choosing the right fulfillment is based on a lot of comparisons and preferences. Be aware of all the costs before you take the plunge into deciding the fulfillment choice. Comparing all costs includes the ad costs, shipping costs, FBA fees, et cetera. SellerApp has two free tools to understand and analyze these costs and prices. The Amazon ACoS calculator is the FBA calculator upgraded for a killer performance. Along with analyzing the FBA fees for any Amazon product, the Amazon ACoS calculator helps analyze the price points and the numbers you must be selling at, including the Ad costs to reach your desired profit levels. Are there any packaging requirements for FBM Amazon sellers? Between FBA and FBM, which one is better?